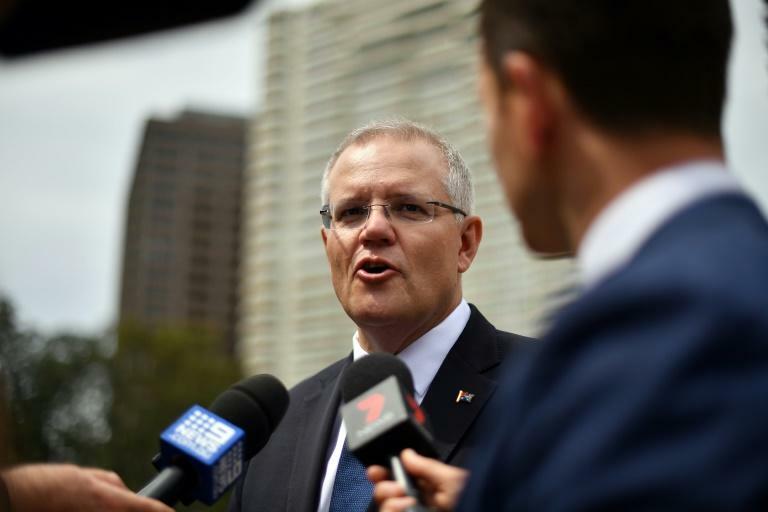 Australian Prime Minister Scott Morrison pledged Sunday his embattled government would serve out a full term despite the conservative coalition looking set to lose its majority after a voter backlash in a crucial Sydney by-election. The Liberal-National coalition, which has a one-seat parliamentary majority, appeared headed for minority government status after a huge swing in a traditionally safe seat, fuelled by anger over the ousting of former prime minister Malcolm Turnbull. But despite the Liberal candidate conceding defeat Saturday after high-profile independent Kerryn Phelps captured an apparently unsurmountable lead in the seat of Wentworth, the count has narrowed sharply as postal votes are counted. Phelps' lead with more than 54 percent under Australia's voting system -- which allocates voters' second preferences if no candidate secures a majority -- shrank Sunday to just 50.61 percent, or 884 votes over her Liberal rival. While most analysts said it appeared likely Phelps would hold on to the win, Prime Minister Scott Morrison struck a more upbeat tone. "If it (the margin) gets as close as 100 then an automatic recount is triggered under the normal rules," Morrison told reporters. "I am not saying it will get to that." The by-election in the wealthy seat was triggered after Turnbull, the local MP, resigned after being toppled in a party coup in August. Turnbull had held the seat with a comfortable margin of 18 percent, but support for the Liberals tumbled over his treatment. Morrison signalled he was winning to work with minor parties and independents to address what Phelps said would be the first item on her agenda -- removing refugee children held in Australian detention camps on the Pacific island nation of Nauru. A final count for Wentworth might only be declared after the November 2 deadline for postal votes has passed.